Visiting Angels of Delray Beach is a Florida licensed Nurse Registry that provides a self-directed model of senior home care to Palm Beach County residents. Self-directed care is a model of homecare delivery that emphasizes the rights of the client in determining the course of their care. This model gives clients direct involvement in all aspects of their care including the care plan, the selection of the caregiver, the cost of care, and the type of care they receive. You can relax knowing you’re in trusted hands. Visiting Angels was created to fulfill the dream that many seniors have - retaining independent life in the privacy of their own home. Since opening its doors in July of 2000, Visiting Angels of Delray Beach has opened its arms to thousands of seniors in Palm Beach County, matching them with professional, qualified and thoroughly vetted senior home caregivers. Phyllis called around town, searching for guidance and help for her mother. She was disheartened by what she encountered. “There was little interest in who my mother was; what her physical, mental and emotional needs were. The senior home caregivers did not communicate well, nor did they try to understand her personality and temperament”. After engaging eight different senior home care companies in fourteen weeks, Phyllis knew there had to be a better way. On her quest to make a difference, Phyllis embraced a unique philosophy and culture. She set a new standard of home care service for seniors, their families and professional caregivers. It’s a method of working that puts you in charge. By allowing seniors and families total freedom over their schedules and requirements, living at home becomes comfortable and straightforward again. Nothing is more important than meeting the high standards and requirements of our clients. From day one, every senior and their chosen family members will be included in discussions. You, your loved one, and your family matters most. When we first meet, we will discuss your needs for senior home care services and what difficulties you or your loved one faces daily. We’ll make suggestions based on our decades of experience and listen to each and every demand or concern you may have. Once we’ve gained a detailed understanding of your needs, we will refer you to a selection of senior home caregivers with the appropriate training and experience. You get the final say on the choice of caregiver and have total freedom to say no to our referrals. You’ll be able to meet your caregiver before selection and spend time getting to know them. Once you’ve made a choice, you and your caregiver will develop a personalized care plan that can help make senior life easy. You are in charge of everything Visiting Angels will not dictate to you what your schedule is to be (i.e. what time to wake up, when to bathe, meal schedules etc.). You are the boss. Once your senior home care professional begins providing support, we’ll be on hand at our headquarters to monitor your satisfaction and listen to any concerns or questions. You work with the caregiver you chose indefinitely or you can discontinue service at any time. Locally owned and operated, Visiting Angels of Delray Beach refers senior home care services to assist with a variety of needs, from activities of daily living to non-medical palliative care. Our service has enriched the lives of thousands of families throughout Palm Beach and Broward Counties. Our compassionate team would love the opportunity to improve the quality of life for your loved one and family. We’re just a phone call away. With Visiting Angels you can receive senior home care for all levels of assistance. Should you need just a few hours a week to provide respite care for family caregivers, then look no further. Should you need a more full-time or through the night level of care, then we’ve got you covered as well. How Do We Make Senior Home Care Services Possible? Companionship - Provide seniors with conversation, hobbies, walks, and friendship. Personal Care - Respectful, dignified assistance with bathing, grooming, hygiene, toileting, dressing, and maintaining health. Meal Preparation - Caregivers can cook favorite dishes and recipes with healthy diets and hydration. Mobility - Assistance with moving around the house, on walks, and critically, minimize the risk of falling. Exercise and Recreation - Caregivers can encourage and assist with walking, basic motion exercises, gardening, and any favorite activities. Medication Reminders - Ensure the correct medication doses are taken on time and safely, preventing stress for your family. Light Housekeeping - Maintaining a tidy and clean home, with laundry duty, clean up, and trip hazards all dealt with is key to happy, healthy living. Caregivers never touch anything that is private and ensure your home remains personal. Transportation - Caregivers can drive your loved one to the doctors, to friends and family, events, and any other outings. Does Your Loved One Need Home Senior Care Services? We know that as a family or as a friend, it is natural to want to support a loved one in any way you can. Sometimes it can become tiring, impossible, or detrimental to a relationship. With Visiting Angels Delray Beach senior home care your family can relieve the pressure and responsibility of solo caregiving. We’ve seen families grow closer with the introduction of caregivers as they are no longer concerned about medications and stressful tasks. Since 1998 Visiting Angels has been the leader in quality senior home care services across the country. We’ve provided decades of support for seniors in all areas of care and have crafted a system that is proven to help seniors live successful and enjoyable lives in their own homes. 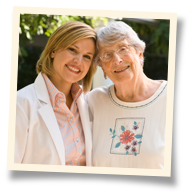 We are considered one of the pioneers in senior home care services, which continues to grow in popularity each year. This webpage contains links to other webpages that were developed by Visiting Angels Corporate for offices that operate a different type of business model and do not reflect the business practices of Visiting Angels of Delray Beach a Florida licensed nurse registry.